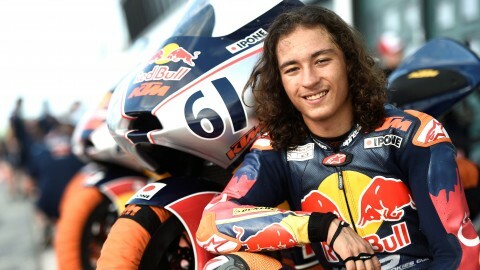 Can Öncü is the 2018 Red Bull MotoGP Rookies Cup Champion. The Turk, who began his path on the Road to MotoGP™ in the Idemitsu Asia Talent Cup, put together an impressive season to not yet finish a single race off the podium – accruing enough points to secure the crown by taking victory on Saturday at Misano. Öncü is the third Rookies Champion in a row to have come from the ATC, following in the footsteps of 2017 winner Kazuki Masaki and predecessor Ayumu Sasaki. That was Öncü’s fifth win of the year in the Rookies, taking him 79 points clear of twin brother Deniz, who is second in the standings. 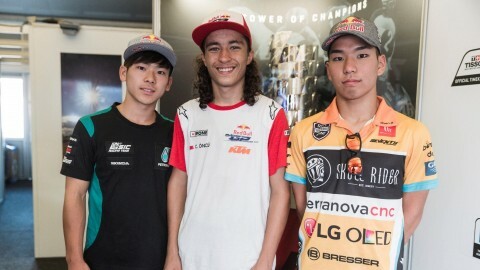 Both brothers come from the Idemitsu Asia Talent Cup, where they made their debuts on the Road to MotoGP™ in 2016. Can finished that season in ninth overall, one ahead his brother, and took his first ever podium in the final race at Sepang with a second-place finish. The competition between the two has only continued to grow. Deniz Öncü is the reigning IATC Champion after taking the crown last season, whereas Can Öncü came third overall in 2017. Can also ended the Red Bull Rookies season in third, and that prepared a push for the crown in 2018 – one that he kicked off in style as he won the first race of the year in Jerez. From then on, the season was a tale of consistency as the Turkish rider took first or second in every race – including a double at Assen – with the sole exception of Race 1 in Austria, where he came home third. On the brink of the title as the Rookies arrived at Misano, the single race on Saturday went perfectly to script for Can and he took win number five of the season. Newly-crowned Can Öncü and his brother Deniz now have one more round of the Red Bull MotoGP Rookies Cup left this season, held at MotorLand Aragon, and will see out the year with the final three rounds of the FIM CEV Repsol Moto3™ Junior World Championship, in which they both compete.